Symantec Endpoint Prevent for DLP has the ability to track and limit data being copied to removable storage (USB drives, etc.). Within a DLP policy we can leverage the DeviceID of a removable storage device as either an inclusion or exclusion to our policy. This document will cover how to set it up. The first tool we need to leverage is “DeviceID.exe” which is a part of the Tools folder under the DLP agent source directory. This executable will allow us to gather both the Device ID and the Regex that is needed for either the exclusion or inclusion. This information is taken from the Help file for DLP and the DLP Admin Guide. 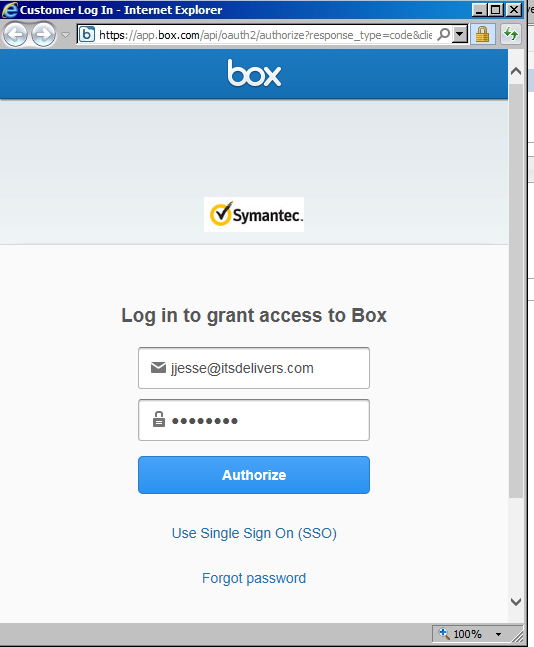 In version 14 of their DLP product Symantec introduced the ability to scan corporate Box.com accounts via Network Discover to see what confidential data is stored within an organization’s Box.com environment. In Data Insight 5.0 we now have the ability to process Box.com to understand the context of the files in our Box.com account. This guide will cover configuring Box.com scanning and then also provide some screenshots around what it looks like. 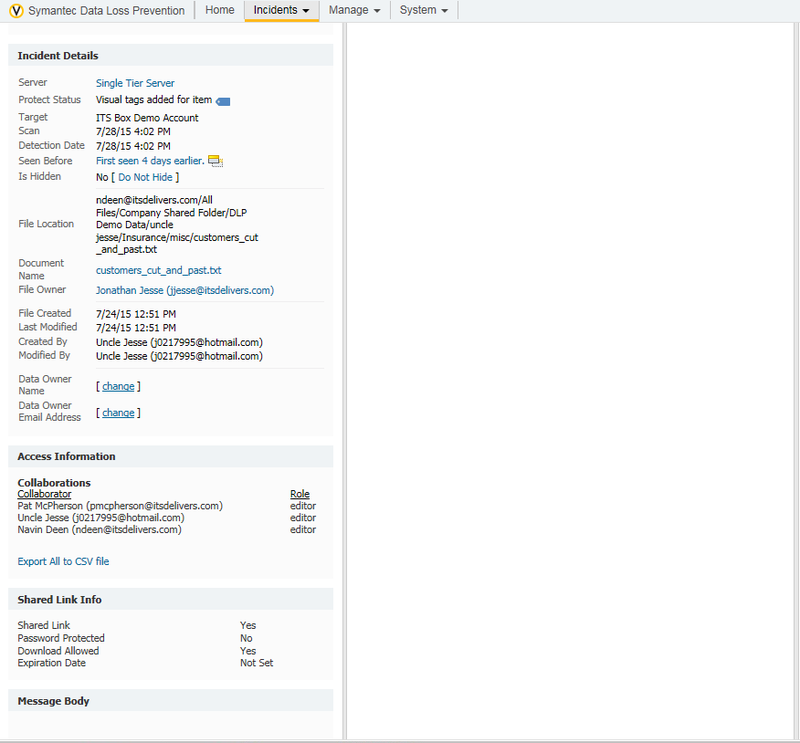 After logging into the Data Insight Console we will need to access the Settings tab of the Management Console to setup our “Cloud Sources” which can be found on the left side of the Console. In order to process everything correctly, make sure the owner account is used to connect and use the system. 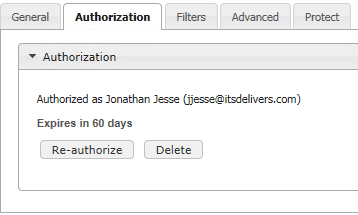 The above screenshot (Figure 3) shows the demo system being authenticated to the system. One the indexer and collecter are assigned, we can then start the scanning of the Box.com account. Once the scan has been completed and the information has been processed, Box.com information will be in the Data Insight system. Figure 5 shows the result of the scan against the demo system. 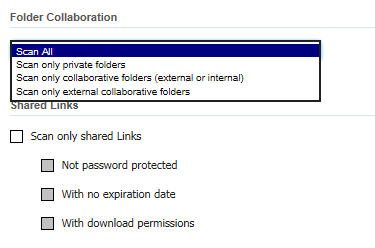 New in DLP 14 is the ability to scan Box.com for confidential data that may be stored in an enterprise’s BOX.COM environment. See this post for more information on how to configure this. This post will cover how to configure the the response rule. 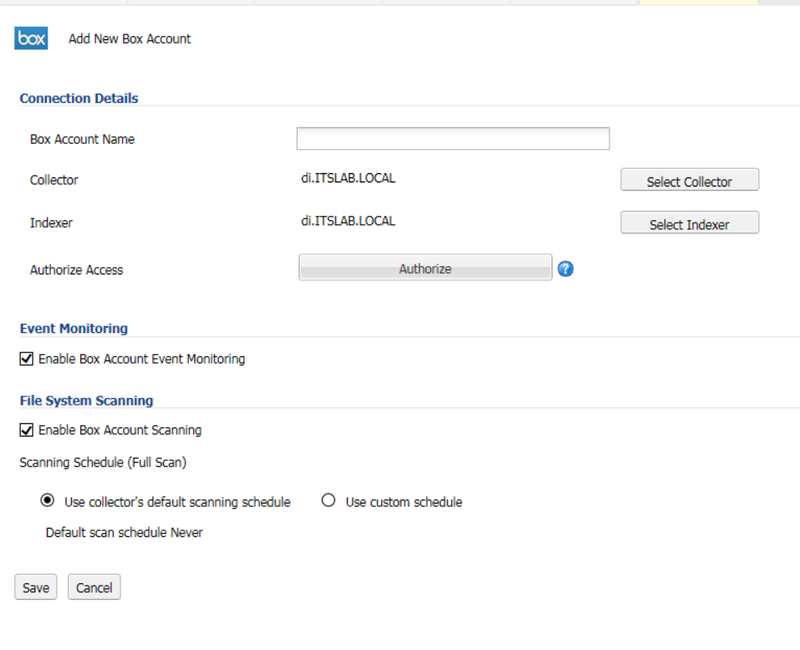 The first step to configure the response rule is to enable the response rules for scanning within the Discover Target. If the check box is not enabled the response rule will not trigger. The incident report will show a new icon (the tag) next to the Box.com incident. 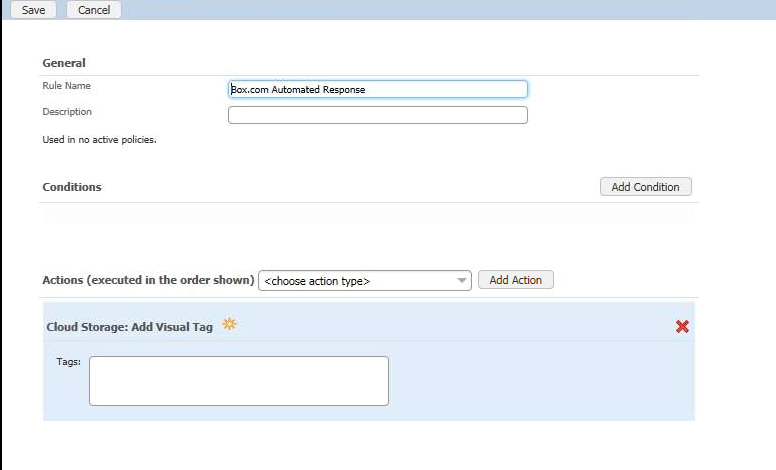 Finally we can see the “Visual Tag” applied within the Box.com interface. New to Symantec DLP 14 we have the ability to do Network Discover Scans (Data at Rest) of content that is stored in Cloud Storage locations. The first service this is available for is Box.com. This post will cover how to configure a Network Discover Scan for Cloud Storage once you have applied the Cloud Storage License. 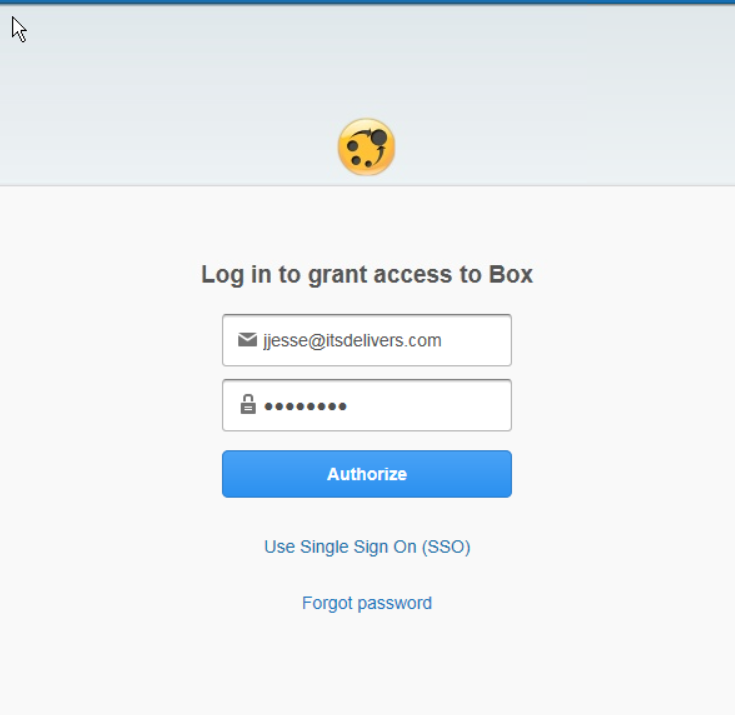 Once the license for Cloud Storage DLP is loaded into the system a new entry to create a Box.com Discover Target will be listed. Along with being able to scan a folder on box.com we have the ability to “tag” a file with a response rule and this needs to be enabled in the protect tab of things. Once this is all done, a Cloud Storage Target for Box.com will be configured and setup. THis target can then be run just like any network discover target. Do I need a different license for this? Yes, a license for “Cloud Storage DLP” according to the DLP Licensing Guide. This is a subscription based license available in a 1-year subscription. Recently I was installing the stand-alone version of IT Analytics and the DLP Cubes and kept running into problems processing the cubes in regards to invalid username and password. When the cubes were processed within IT Analytics a large error was created but the full text was not generated. So I jumped in SQL Management Studio, connected to the Analysis Services, found my DLP Cubes and tried to process them. 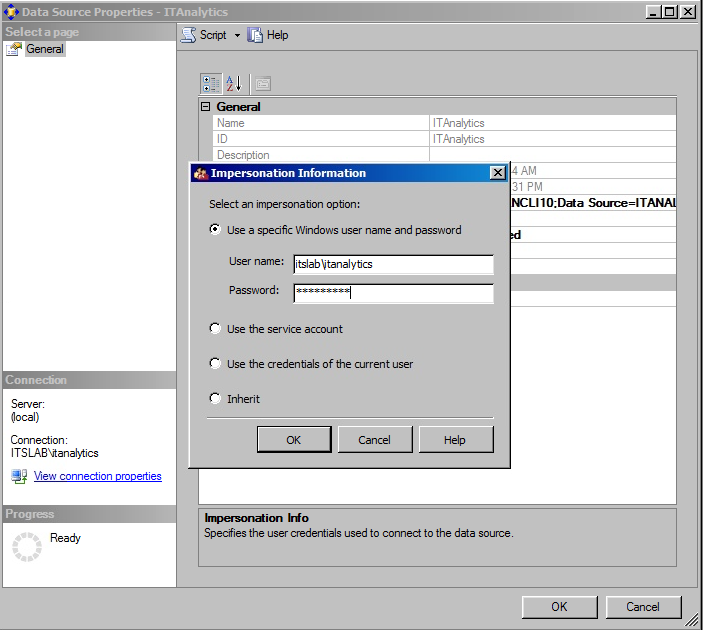 It was within SQL Management Studio and found I was getting an error with invalid username and password. This error message confused me as I was using the same account that I installed SQL with and installed IT Analytics with. So I tried some troubleshooting and checked various roles within SQL and checked what permissions were set on the Database, Analysis Services, etc. And it was time to panic, I had a demo today at a new to me customer and needed to have strong showing…. So it was off to Symantec Support to try and resolve the problem. I had great success getting my incident resolved at 3:26pm EST when my demo started at 3:30pm EST. The first part that was wrong with my installation and configuration was I did not read the installation manual all the way to the end and missed a step. Also there was another step that needed to be changed. NOTE: After making these changes you will need to restart your SQL Server Services to make sure everything is updated and fixed correctly. This first step is documented in the install guide and I just did not read all the way through it. The OraOLEDB.Oracle provider needs to have a setting changed in order for the processing to work. We need to select “Allow inprocess” in order for the cubes to process correctly. In SQL Management Studio, connect to the Database portion of your server and then we need to find the list of providers. This is found under “Server Objects -> Linked Servers -> Providers and then right click on the OraOLEDB.Oracle provider and select properties. 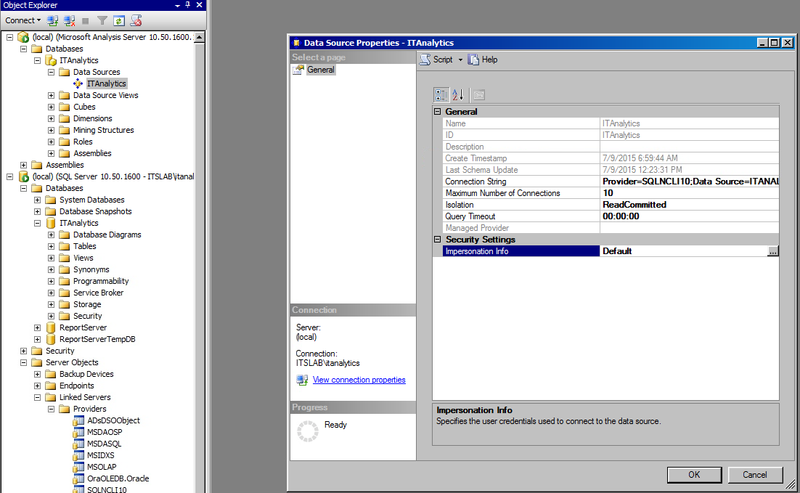 Restart the SQL Server Services and your DLP cubes will process correctly. One of the concerns in the past for using IT Analytics has been the requirement for a Symantec Management Platform (SMP also known as Altiris) to be configured first before you install and manage the cubes. This is no loner the case as there is a stand-alone version of IT Analytics available (this will be covered in a separate blog post). This post will cover why you should be using IT Analytics for your DLP system. Within the Symantec DLP console there are a bunch of ways to slice and dice the data that is generated in the system (Incidents, etc.) either by filtering the data or by creating various summarizations of the data. IT Analytics adds several items that are not exposed without having to write a SQL query or leverage the API. 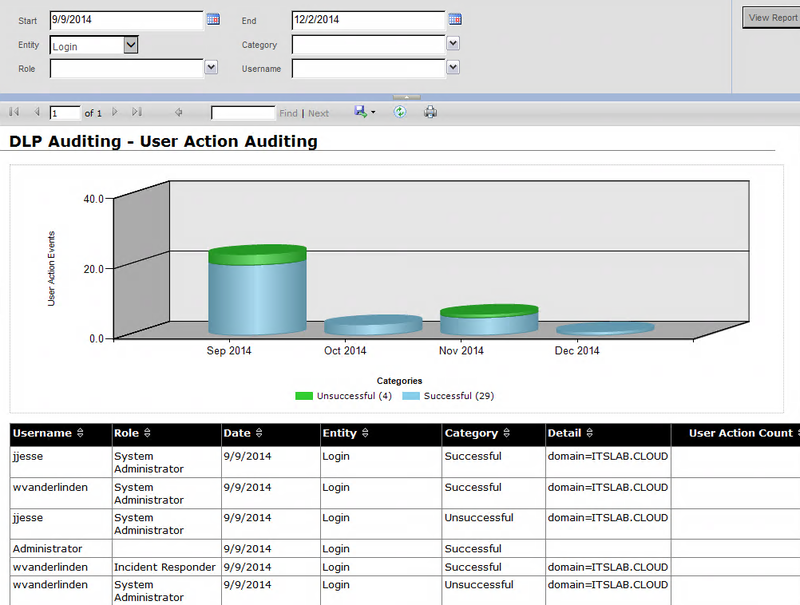 IT Analytics allows for someone who does not have access to the DLP console to run reports against the information. 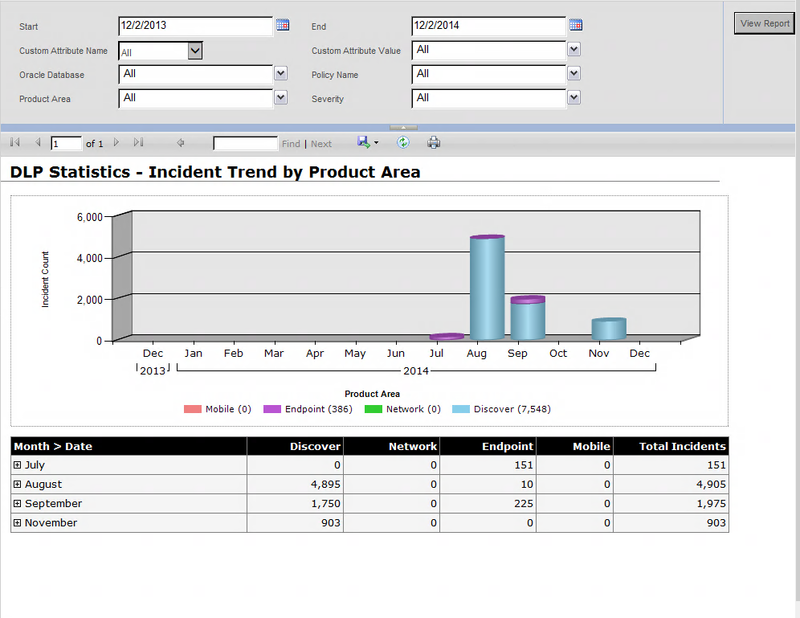 Also IT Analytics can easily create trending reports to demonstrate how risk is being reduced over time. Whenever people ask me why I should bother with IT Analytics there are two reports that I point to that demonstrate the value of IT Analytics. 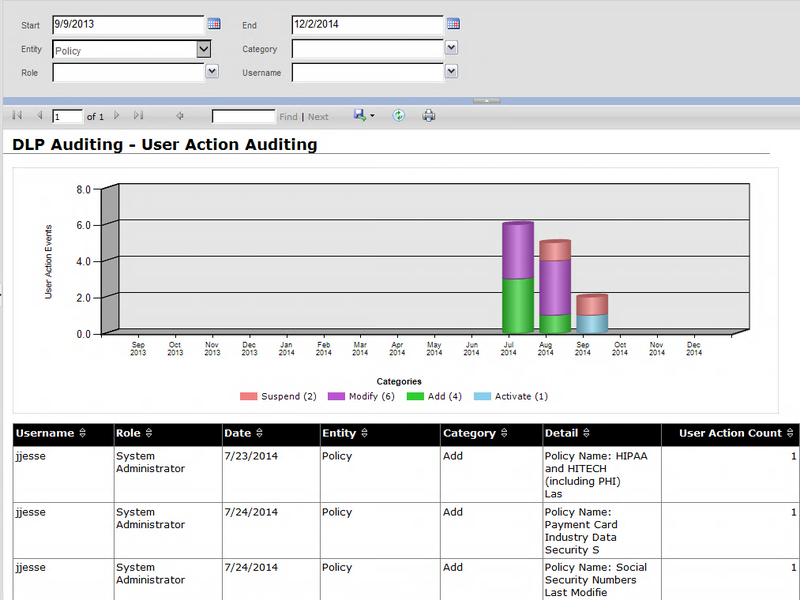 The first screenshot (User Login Report) shows which users have logged into the DLP system and the second report (User Action Auditing Report) shows who has changed what policies in the DLP system. These two reports are requested over and over by customers. How can I prove to my auditors or management that no one is changing a DLP policy randomly? This information is coming out of the Oracle Database but without ITA you would have to write a SQL statement and then clean it up to provide auditors or management. 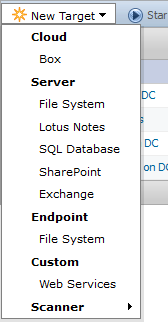 A third common request is “how can I show trends” in my DLP system and the above screenshot shows this trend. Finally IT Analytics provides Key Performance Indicators (both predefined or custom created) demonstrate how your Symantec DLP system is reducing risk over time and how the system is performing. How do I get IT Analytics? Can I install Symantec DLP on a Red Hat Linux system with a pre-defined user name? Recently I was doing an install of Symantec DLP on a Red Hat Linux box that was a member of LDAP and had the /home folder automounted and didn’t allow for us to write to that folder. When a new local user was created via the adduser command it would not work without passing a command line option to change the location of the home directory (adduser -b /opt/users/). During the install of Symantec DLP, the installer creates a user (protect, protect_update) and would fail because the home directory (/home/protect) could not be created. So the question was asked… Can we create a user, populate the home directory outside of /home and then perform the install of the system? Answer: No… The installer for Symantec DLP needs to create the correct users and must be able to write /home when creating the user. There is currently an enhancement request within Symantec to allow a pre-created account.